LiveATC provides audio streams of air traffic control radio feeds for 1200 airports across the world. (Some countries prohibit streaming this audio, so not every airport's feed is available.) Through the app, you can either find a nearby airport—the one you're already sitting at, perhaps—or browse all the feeds to check out what's going on at an airport hundreds of miles away. You just need to know the ICAO airport code (which is slightly different from the more recognizable three-letter abbreviation that appears on tickets and baggage tags, like LAX or JFK), or you can pick an airport out from the interactive world map. 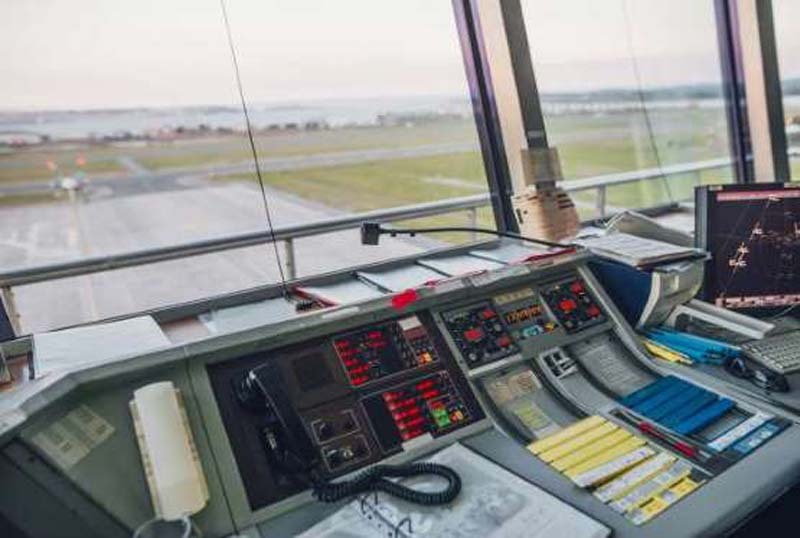 You can usually choose between several different feeds coming from different towers across the airport, picking between arrivals and departures, north and south towers, and various other options, depending on the airport's setup. For the uninitiated, it might be difficult to figure out what's going on in the feeds—pilots and controllers talk fast and use terminology that the average traveler probably isn't familiar with—but it's nonetheless a fascinating glance at what's going on behind the scenes while you're sitting there dreaming of that upcoming in-flight beverage service. You can listen for free online at LiveATC.net, or download the app for $3.99 for iOS or Android.